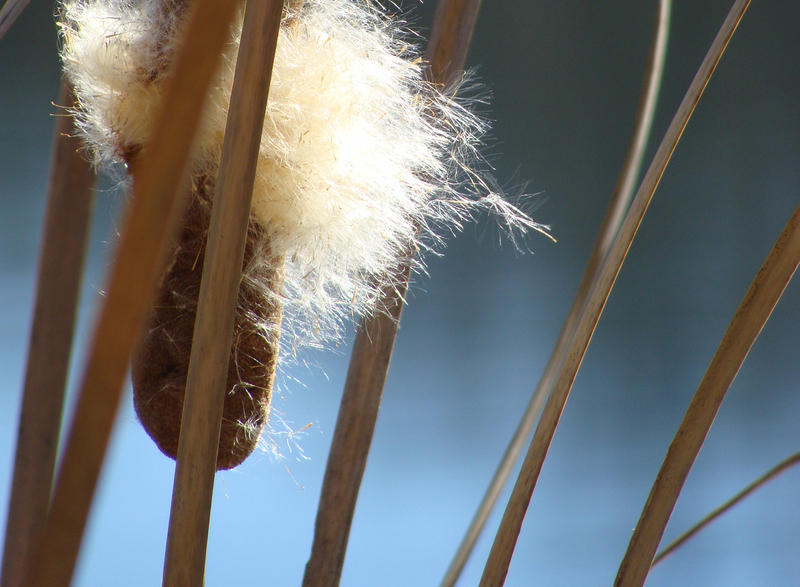 24-HOUR PERIOD ENDING SUNDAY MORNING JANUARY 30TH. 1957...WHEN THE TEMPERATURE HIT 79 DEGREES. National Climatic Data Center (NCDC). Therefore, these data are subject to revision. Final and certified climate data can be accessed at the NCDC - http://www.ncdc.noaa.gov. 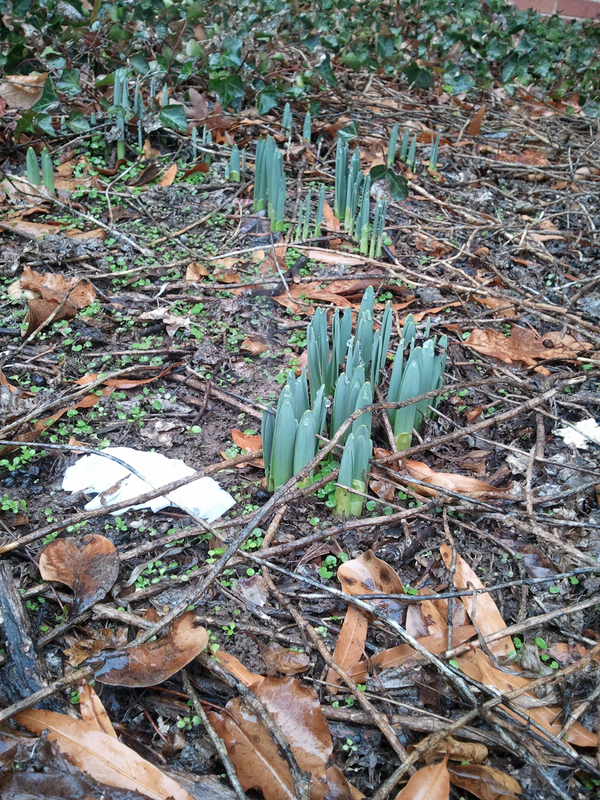 Here it is late January and according to the National Weather Service, it hit 75 downtown. However, as is often said, “if you don’t like the weather, wait five minutes.” There’s a slight chance of snow in 72 hours. 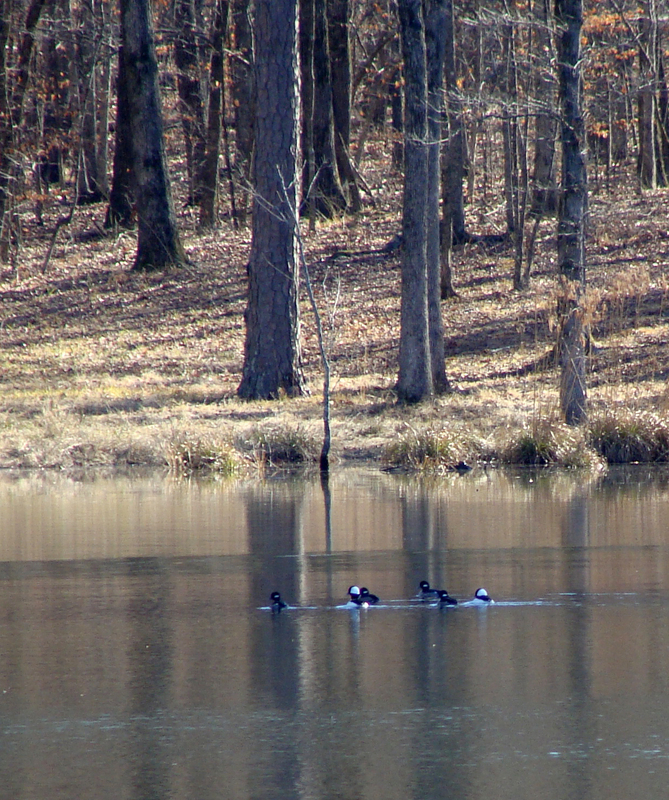 Buffleheads noodling around the pond. 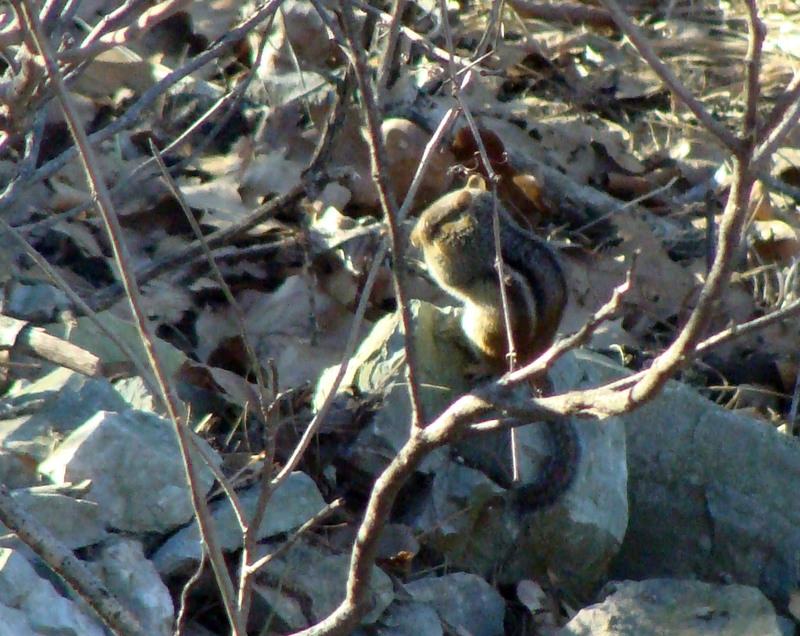 Squinting chipmunk enjoys a warm morning. 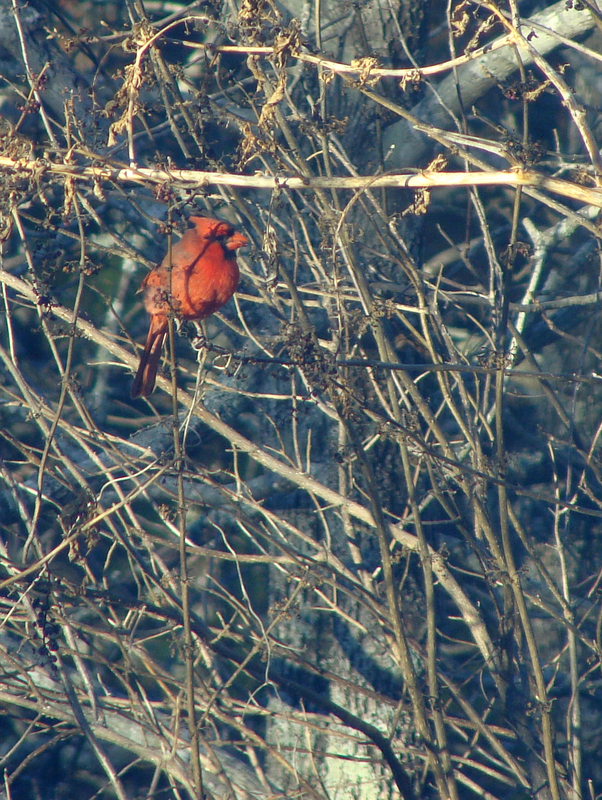 Cardinal gazes out from his perch. 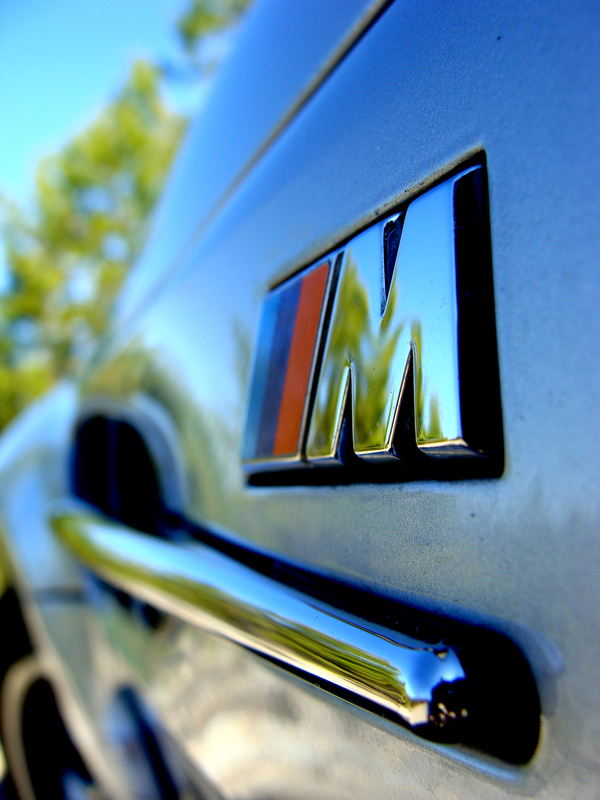 It was so warm, it was a good day for car washing. Life too hectic? Clear your mind. 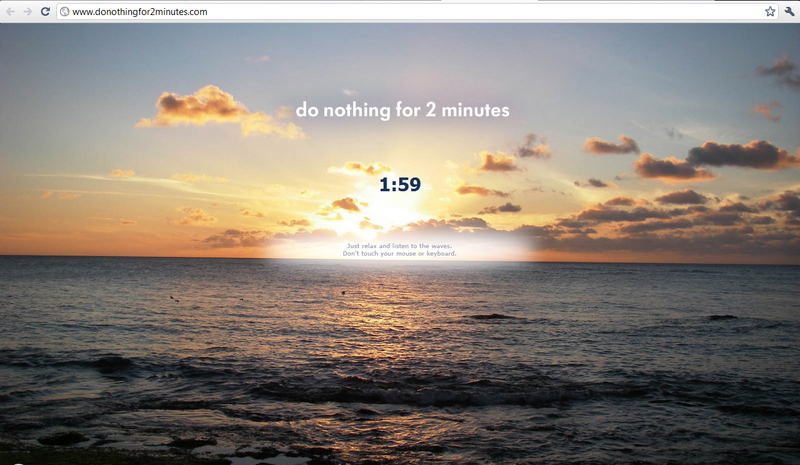 Take a two-minute timeout. The drive to work was enlivened by an incoming flight geese. [Click on the photo so it opens on its own page; then enlarge it from there.] The first frames show the flock, silhouetted by the rising sun, on final, then flaring for landing. 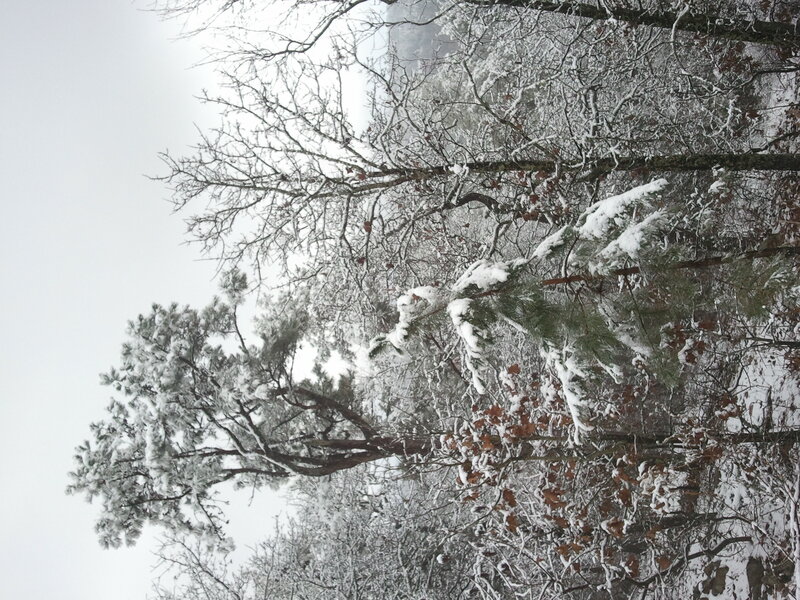 Janus, the two-faced Roman god for whom January is named, showed both sides today in places less than 20 miles apart. 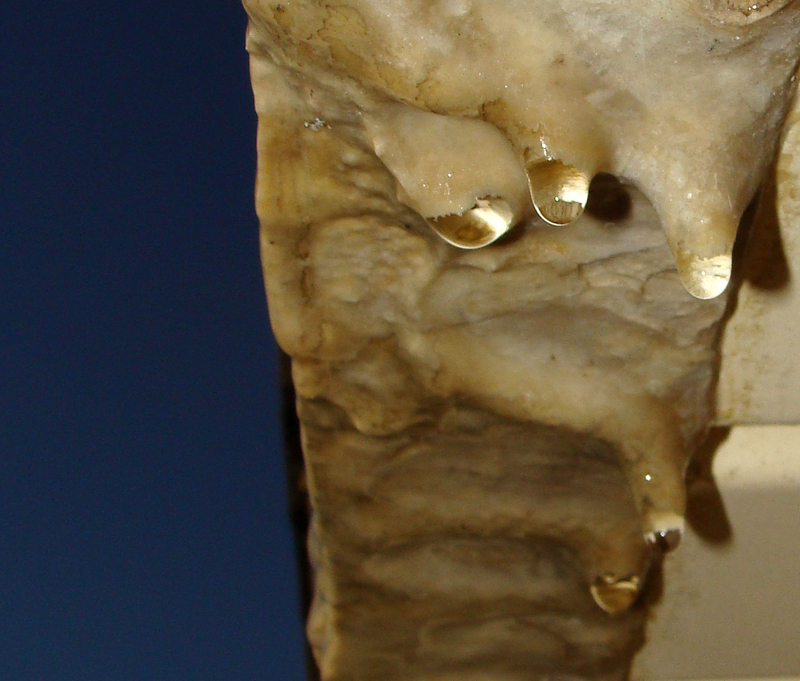 Snow melt dripping off the deck and through the cement under the tiles is creating soda straw stalactites. Past stalactites have reached up to 3-4 inches before breaking off and shattering on the sidewalk. 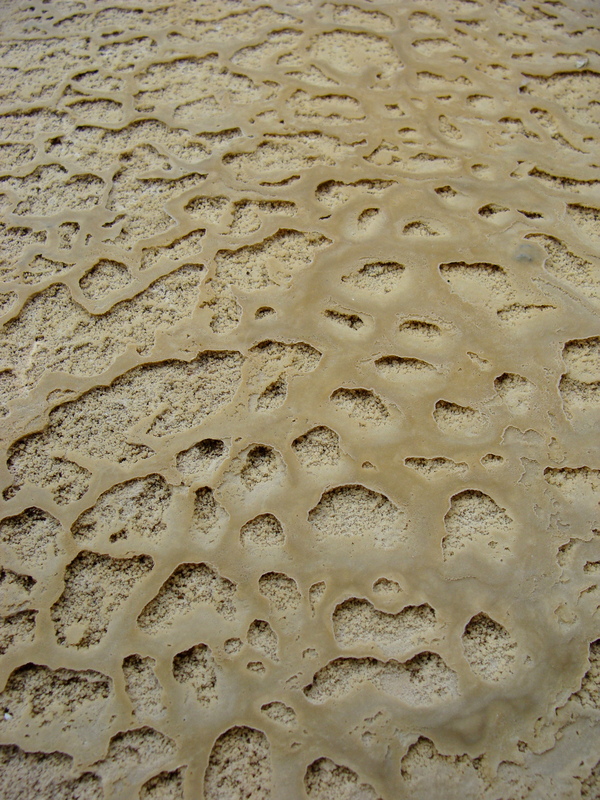 Below, flowstone builds up on the sidewalk. The question is how many years of rain and snow can the deck withstand? 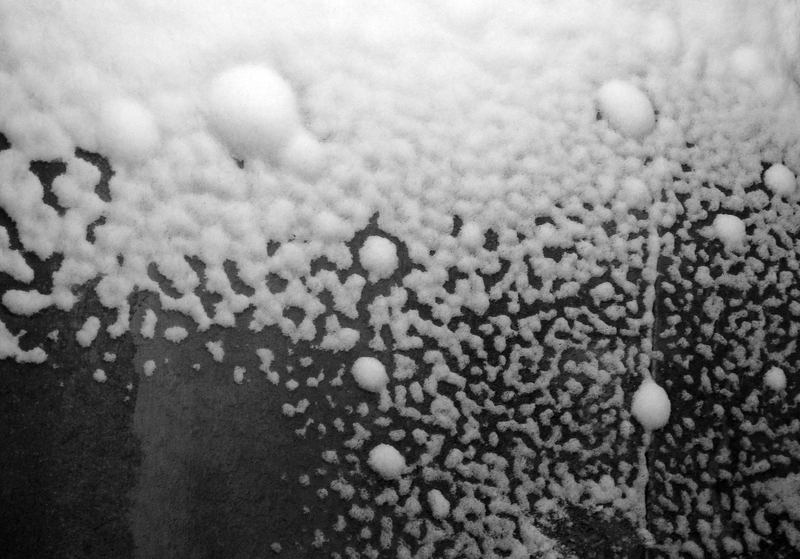 Soda straws form as snow melt percolates through the deck. How flowstone starts -- on the sidewalk. 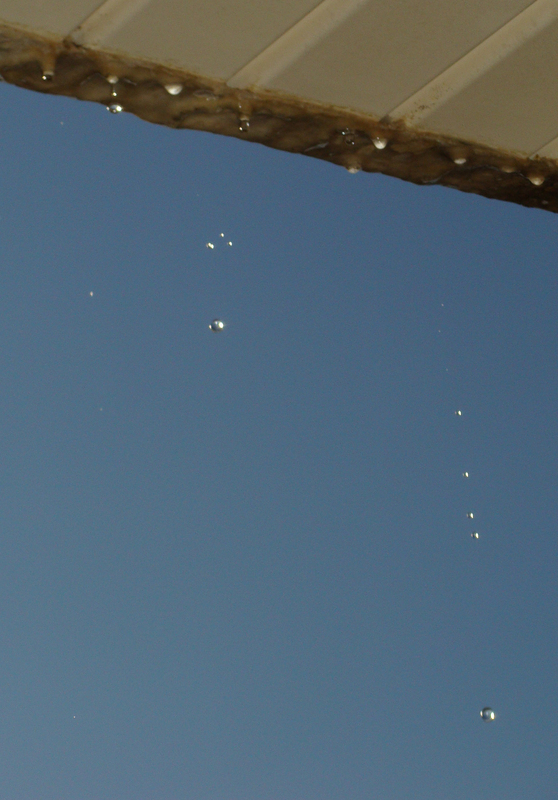 Snow melt drops fall from the deck. 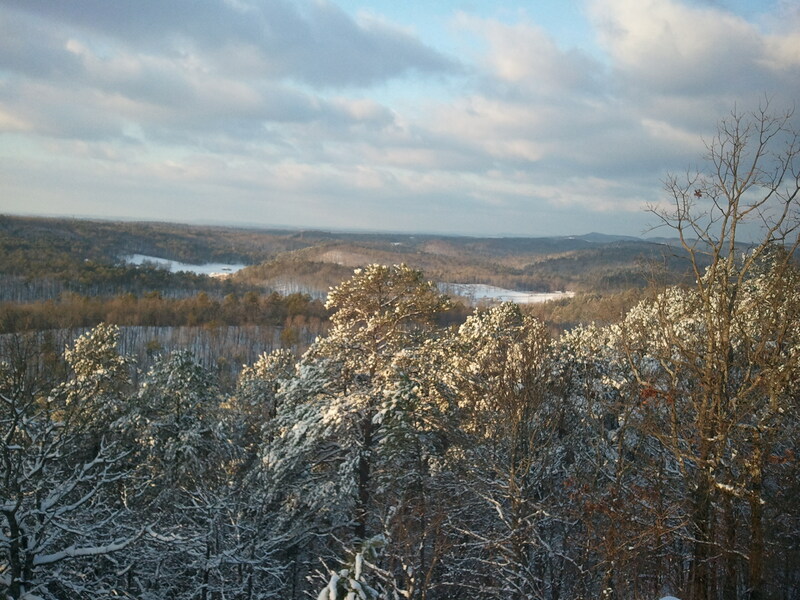 Temps as low as the lower teens turned the pond to ice and the roadway into truck luge course. 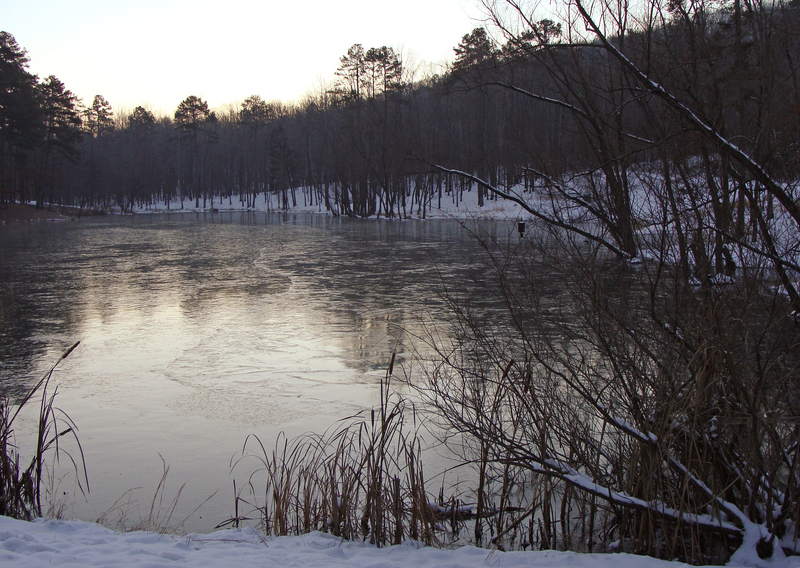 A week of sub-freezing temperatures covered the pond with ice. 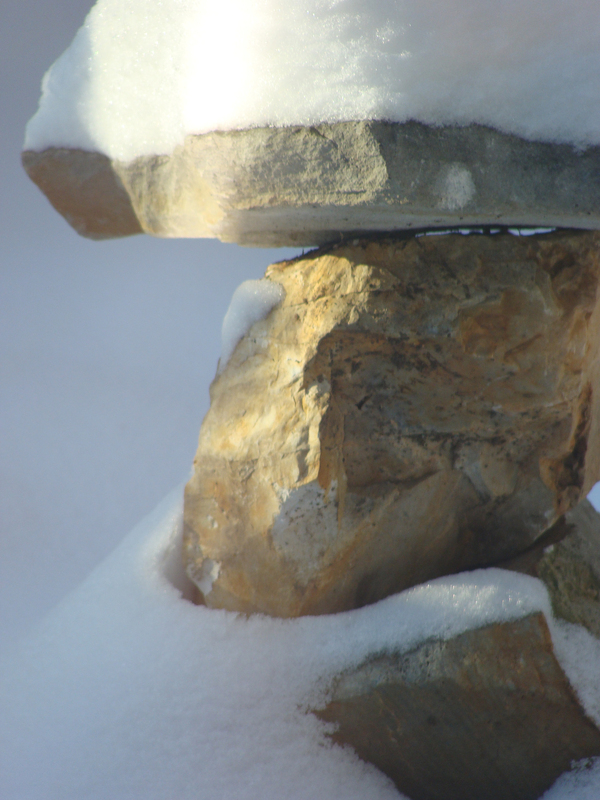 Morning sunshine highlights the stones of the rustic Japanese garden lantern/cairn made from native Stanley shale. 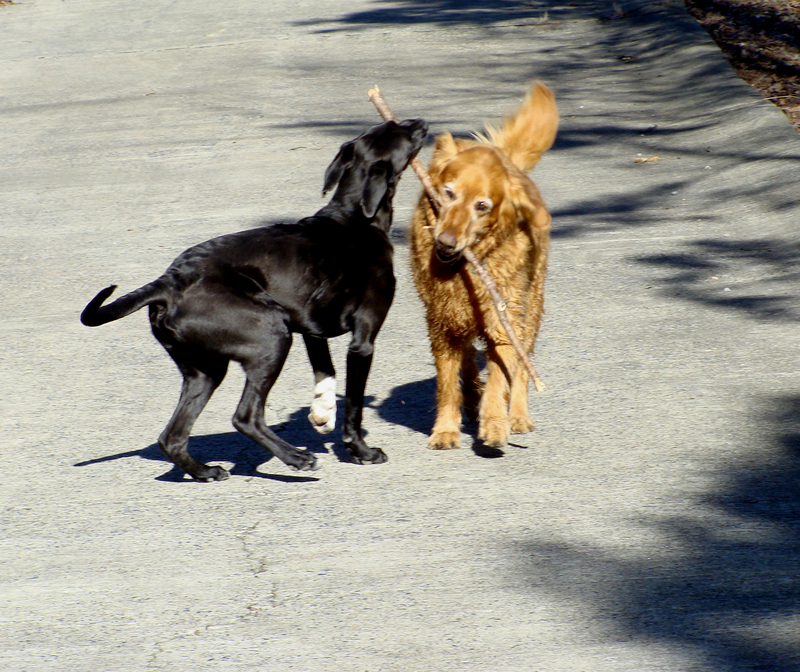 The sun has returned, with an armload of arctic air. Just a two days after enjoying temperatures in the upper 50s, our highs today aren’t expected to reach above the freezing mark. 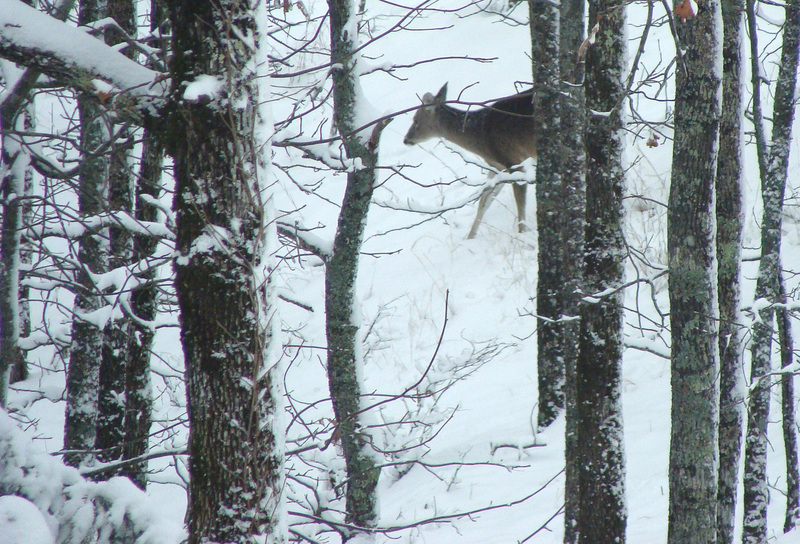 After our 6-8 inch snow fall, not much was moving around, except for the deer. 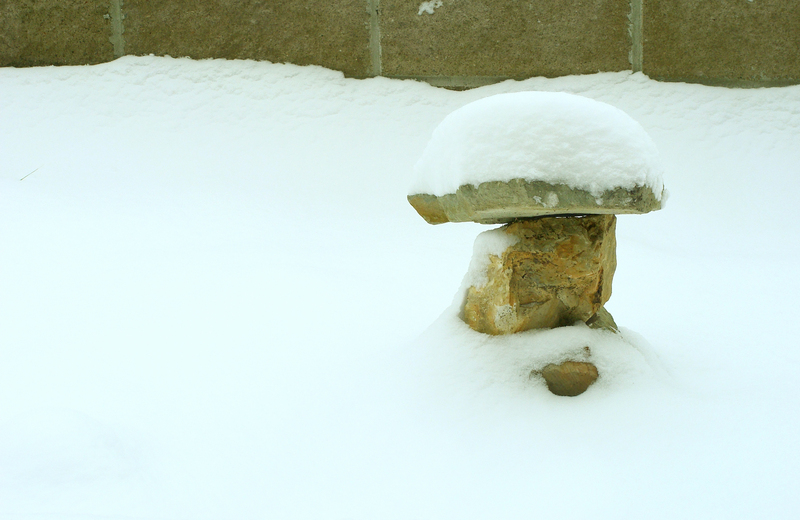 Rustic stacked-stone Japanese lantern stands waist deep in snow. Deer heading for the south valley after an early morning stop at the lake. 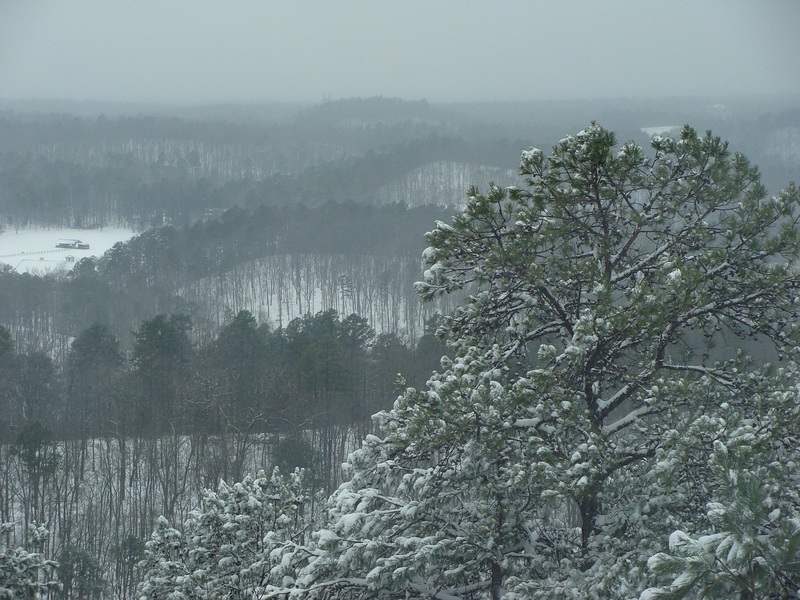 Snow decorates the shoulders of Ouachita ridges. Odd, random snow domes on the sidewalk. 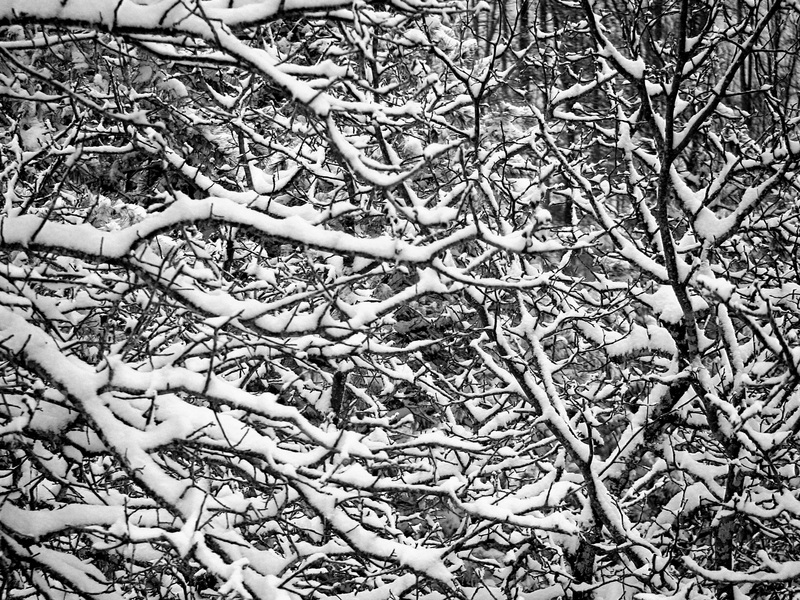 A tangle of snow-covered branches.